The first sequence is ones followed by zeroes. This problem can be simulated but needs some tricks to track the ‘flipping-over’ of the bit sequences. 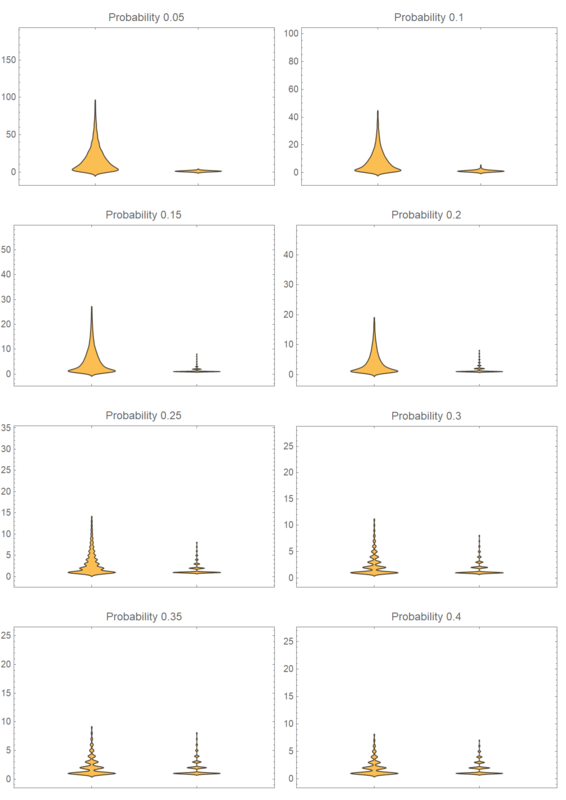 The plots for the different probabilities are shown below. A trivia : Why do the plots for p = 0.05 and p = 0.95 look similar? 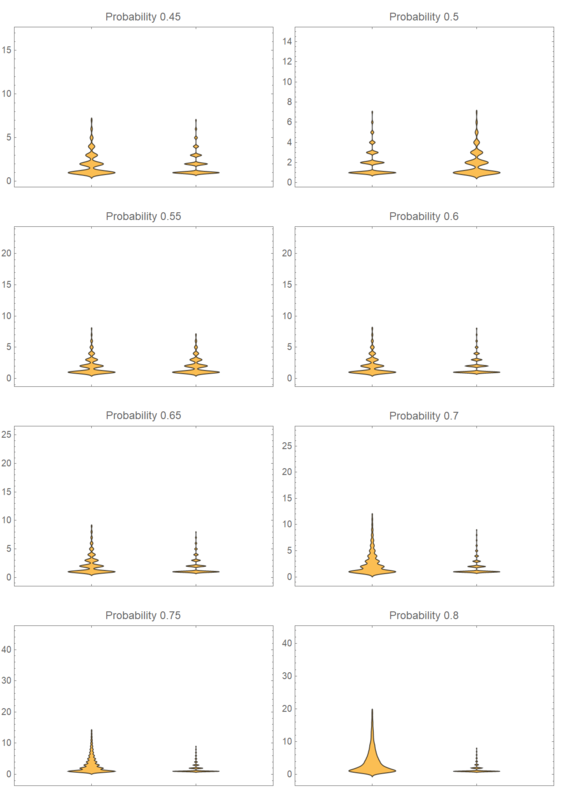 Shouldn’t the plots be flipping over when the probabilities have flipped over? I would allow you to ponder on that. If you are not able to figure out, please drop a comment and I will try responding. Used python for the simulation and Mathematica for the plots. Both are available below.